BROWARD COUNTY, Fla. - A 9-year-old girl was killed and eight other people were injured in a hit-and-run crash that shut down all lanes of traffic early Wednesday on Alligator Alley. Florida Highway Patrol Lt. Alvaro Feola said the crash occurred about 3:30 a.m. in the northbound lanes of Interstate 75, near mile marker 43. Feola said two vehicles believed to be speeding collided. He said the impact pushed one of the vehicles into a Chevrolet Blazer, which overturned several times and came to a rest in the southbound lanes. The 9-year-old girl, who was a passenger in the SUV, was flown to Broward Health Medical Center in Fort Lauderdale, where she was pronounced dead. Feola said the drivers of the vehicles that collided fled on foot and were later apprehended by Broward Sheriff's Office deputies. Both drivers, a man and a woman, were also hospitalized. 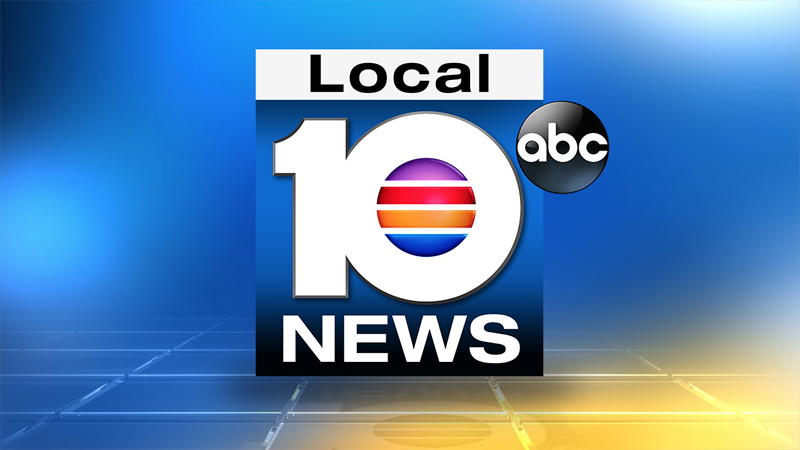 Four others were taken to Broward Health Medical Center, while the others were taken to Cleveland Clinic in Weston. The victims' ages range from 7 to 42 years old. Feola said the SUV was traveling from Fort Lauderdale to Bradenton at the time of the crash. Northbound traffic was being detoured at the Alligator Alley toll plaza during the fatal crash investigation. Northbound lanes between U.S. Highway 27 and the Broward County-Collier County border were closed for about four hours. 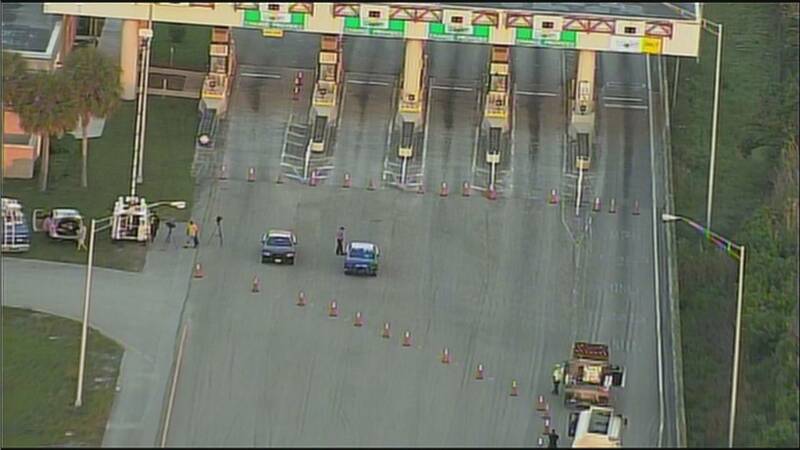 A view from Sky 10 showed Florida Highway Patrol troopers blocking the northbound toll plaza on the stretch of Interstate 75 known as Alligator Alley. 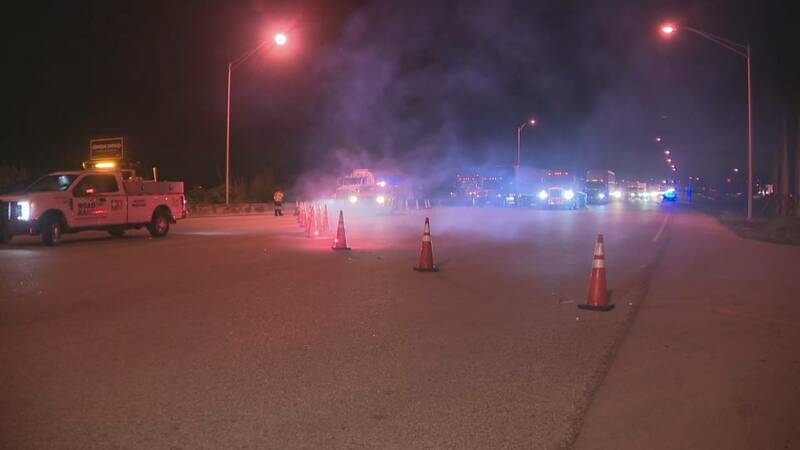 Southbound lanes were closed at one point, but they reopened about 6:30 a.m.
Northbound traffic was being diverted after a fatal hit-and-run crash on the stretch of Interstate 75 known as Alligator Alley. Feola said the drivers who fled the scene of the crash are expected to face charges.